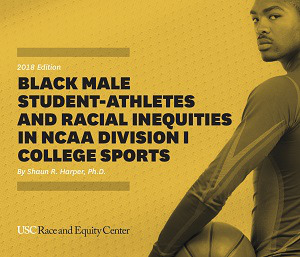 A report from the University of Southern California Race and Equity Center spotlights the pervasive disparities between graduation rates for Black male student-athletes, student-athletes in general and Black undergraduate men overall. 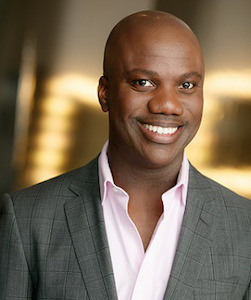 In a study released on Sunday titled “Black Male Student-Athletes and Racial Inequities in NCAA Division I College Sports,” Dr. Shaun R. Harper examines data from the 65 universities that comprise the Power Five conferences in Division I intercollegiate athletics. As was discovered in other reports, center founder and executive director Harper identified racial inequities in six-year graduation rates and noted that institutional leaders, the NCAA and conference commissioners have done little in response. Harper wrote that he is astonished that the American public, which includes current and former Black student-athletes, journalists and Black communities, seem to accept the racial inequities as normal. With this report, he endeavored to create greater awareness of the extent to which college sports persistently disadvantage Black male student-athletes. The report is based on statistics from the NCAA Federal Graduation Rates Database. One limitation is that those numbers do not account for transfer students. A vital statistic to keep in mind is that Black men comprised just 2.4 percent of undergraduate students at the 65 universities in the Power Five, but made up 55 percent of their football teams and 56 percent of their basketball teams. A notable finding is that 55.2 percent of Black male student-athletes graduated within six years compared to 69.3 percent of student-athletes overall, 60.1 percent of Black male undergraduates overall and 76.3 percent of all undergraduates. University of Miami, Georgia Tech, University of Arizona and Vanderbilt University graduated Black male student-athletes at rates equal to or higher than student-athletes overall. Over the last two years, graduation rates for Black male student-athletes have increased by an average of 2.5 percentage points within the Power Five conferences, which is greater than the increase in graduation rates for student-athletes overall and Black undergraduate men overall. University of Louisville, Kansas State University and Vanderbilt University had the largest percentage-point increases in graduation rates. Black male student-athlete graduation rates have declined at 40 percent of the universities over the last two years. “It needs to be a part of an athletics department strategy to look at places that are performing exceptionally well and places that have experienced significant increases and improvements, and figure out what these places are doing and what we can learn from them that is replicable,” said Harper. Additionally, the report notes a dearth of Black head coaches, athletic directors and conference commissioners: 11.9 percent of the head coaches and 15.2 percent of the athletic directors are Black. No conference commissioners in the Power Five conferences are people of color. “It is important for the student-athletes to have role models of their same race,” said Harper, adding that how Black coaches and athletic directors treat Black male student-athletes on academic issues should be studied. Harper offered recommendations for improving racial equity. In an interview with Diverse, he noted that the USC provost has a faculty oversight committee on athletic academic affairs. The panel looks at data on courses in which student-athletes are enrolled to ensure that they’re not being funneled to majors that may not develop long-term career prospects. The report issued a call to action for journalists to make the story a priority. That would include pointing out the inequities, showcasing Black male student-athletes who are thriving academically and athletically and analyzing in detail the resources provided by the athletic department. He offered a final recommendation.